Guest host was Brock Myers. Tackled various stories in the NFL such as the Adrian Peterson suspension, the Jets/Bills relocation, the Giants woes and are the Jets the worst NFL franchise? We discussed MLB hot stove transactions and the aftermath of the Giancarlo Stanton deal. The 2-7 Knicks struggle to figure out the Triangle Offense. Hot stove news on the Mets. We preview week 11 in the NFL and make our predictions. Special guests: Ed Easton and the New York Times. 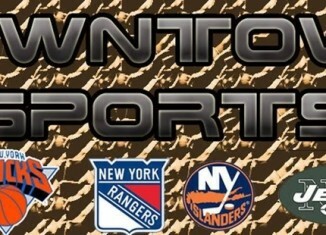 Downtown Sports is the premier sports show on Brooklyn College Radio on WBCR 1090AM and mywbcr.com. We cover MLB, NFL,NHL, NBA, Tennis, MMA, NASCAR, IndyCar, NCAA and much more. We are located on the 3rd floor room 306 in Whitehead Hall at Brooklyn College. 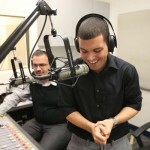 We are on the air from 9-11pm every Thursdays. Our toll-free number is 718-951-4444.